New Members can join in January, April, July or October. From St. Clair Avenue West Subway Station, take any westbound streetcar (Keele or Lansdowne) and get off at Lansdowne Ave.
From Lansdowne Subway Station, take any northbound bus to St.Clair Avenue West. 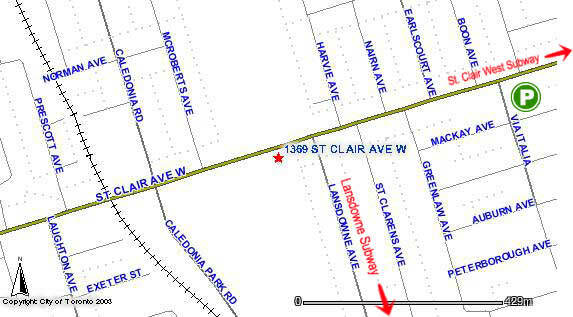 Parking: There’s street parking on Lansdowne Ave, Harvie Ave., Nairn Ave & St. Clarens Ave. Spaces along St. Clair Ave. West only allow one hour meter parking. Check the signs for the parking information if you plan on driving to the practices.